Let us guide you through all the parts you’ll need to make your home an efficient reflection of your style. Champlain Valley Electric carries aluminum and copper building wire (for indoor or outdoor applications) and Coax, Cat 5e and Cat 6 cable, for A/V or networking requirements. Not sure of exactly what you need? We can help! With a few details from the contractor or homeowner, we can determine the correct type of wire or cable for a project, and how much required. Champlain Valley Electric knows that our customers have unique needs when it comes to the control of their electrical equipment. From something as small as adding a new switch in a room, to complicated projects like the distribution of power throughout a residence/facility; when you speak to our experts you’ll get the same level of service and consideration of your requirements and budget – whatever the size of your job. We sell electric baseboard, wall, ceiling heaters, and floor warming products. Make an appointment to see one of our specialists to learn more about each of these different electric heating options, and which ones suits your needs the best. With some simple information such as the size and type of room you wish to heat, Champlain Valley Electric can help you get those rooms beautifully warm in no time. Conduit fittings are necessary to install, connect, and support your cable raceways. They are available in plastic, fiber, fired clay or metal conduit fittings. Champlain Valley Electric has a full line of electrical conduit fittings in many different materials. Whatever the project – we have something to fit! Champlain Valley Electric carries a full line of commercial, industrial and residential electrical boxes and enclosures, offering surface mounts as well as recessed box options. We also carry electrical boxes with depths ranging from 1/2" to over 3" deep, depending on the intended use. Speak to one of our experts to determine exactly the parts you need, and how we can help. Once you have chosen a light fixture or device, you’ll need to think about how it’s going to be controlled. Manual control (including a dimmer option) is just one way to do it, but motion, time, or daylight activated devices may suit your needs better. Champlain Valley Electric are happy to advise on the installation of motion detector lights as part of a security system, plus the placement of carbon monoxide and smoke detectors, inside your home or business. We are truly experts when it comes to lighting and electrical! A crucial part of how you wish to light a space is the light bulbs you choose. 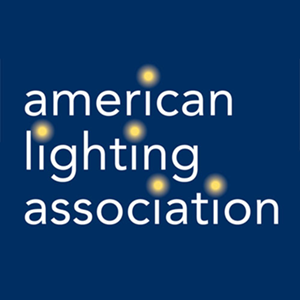 Through our affiliation with buying groups and professional trade organizations, we’re up-to-date on the best light bulbs, LED products, and energy efficiency standards in the industry. A raceway (sometimes referred to as a raceway system) is an enclosed conduit that forms a physical pathway for electrical wiring. Champlain Valley Electric carries steel and plastic conduit and surface raceways such as EMT, IMC, GRC, & PVC. Safe work cannot be completed without the right tools. We carry a full line of electrical tools and testers, suitable for both professional electricians and new homeowners. Champlain Valley Electric stocks Klein Tools, a trusted name in the electrical industry and US-made for professionals since 1857. Generators bring peace of mind, so don’t wait until after you need a standby generator to finally get one. See us for a consultation and get the right generator now, with the help of Champlain Valley Electric. Champlain Valley Electric carries wire connectors, cable ties, staples, pulling rope, and anti-oxidant compound for aluminum cable connections. Have a networking project? We also carry Cat5E & Cat6 Keystone jacks and face plates.